Which is the best cat food for your cat? My picks for the top cat foods for 2018 are chosen for their high quality ingredients and their approximation to a cat's natural diet in the wild - mainly the kinds of foods cats hunt. No rats or rabbits, but protein-rich meat, foul, and fish. These foods contain the same high grade protein that is sold for human consumption - no fillers or by-products. Pet cats have not evolved much from their ancestors, especially physiologically. Their intestines are intended to process food pretty quickly, so they should not be bogged down trying to digest processed foods, grains, and carbohydrates - because cats are biologically, physiologically, and physically engineered to eat raw meats, poultry, and other fresh animal meat and sea foods. There are many reasons why more and more pet owners are moving toward raw food diets for their pets. One is the high number of pet food recalls of some of the most popular brands of pet foods that we hear about almost weekly. We've also become more educated about what should not be included in pet food, like grains, vegetable starches, and preservatives. Also, we are more aware that even protein sources used in many popular brands of pet food may come from animal waste, not fit for human consumption. And then there's the processing of canned and dry (kibble) pet food, with extremely high temperatures that will kill the healthy nutrients that may have once existed in the raw product. Cats are carnivores and, as such, require meat proteins, small soft animal bones, fatty acids, water, amino acids like taurine and arginine, vitamins, and minerals. To achieve this as a cat parent, you can prepare your cat's meals yourself, but be pre-warned that it is difficult, unless you're a chemist (! ), to ensure your cat is getting all the nourishment he needs, especially when it comes to those amino acids, vitamins, and minerals. 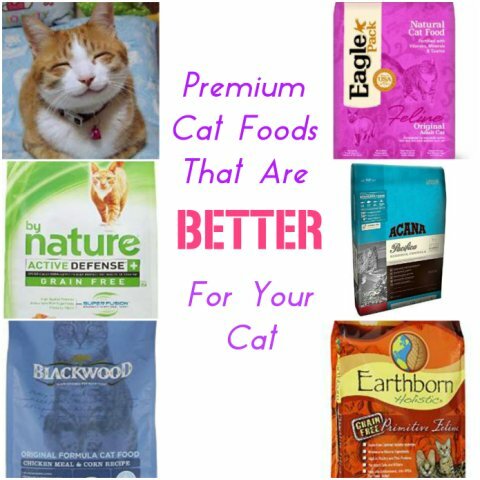 If you want to try it, there are a few sources for you at the end of the blog, but I'm going to recommend cat foods that are already prepared with nutrients that your cat needs and that are readily available and more budget-friendly than purchasing the ingredients and preparing them yourself. We started by reviewing cat food evaluations conducted by pet nutritionists that focus on ingredients, dietary and nutritional values, and taste and texture of the cat foods. Freeze-dried pet foods are considered to be almost as good as raw foods in food nutrients without the nasty bacteria, and they head our list of favorites. But if affordability is an issue, dehydrated foods are a good choice. In any case, you want to buy grain-free, low filler foods. We've looked at foods that are widely available and compare customer evaluations with the actual dining, digestion, and health responses of the cat who eats the foods - via the cat's parents, of course. From those we chose the top 5 cat foods based on the the highest grade ingredients, the source of the ingredients, proportions (e.g., proteins vs. carbs, added nutrients, etc.) and, of course, the cat (mom and dad) reviews. 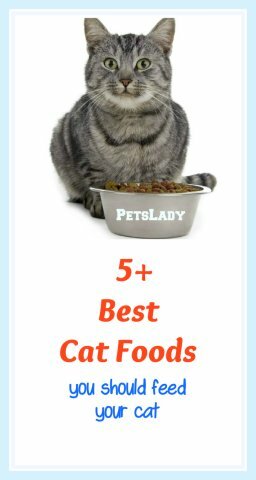 Based on the above analysis, here are my picks for the Top 5+ Best Cat Foods of 2018. Stella & Chewy's cat food comes in two varieties; raw frozen and raw freeze-dried; choose the freeze-dried! A very convenient way to purchase Stella & Chewy's is in the above freeze-dried package, as the original recipes are kept dry and hard until you add water just before serving. And the bag doesn't even need to be refrigerated. Stella & Chewy's offers organic meat, fish, and fowl recipes - hormone and antibiotic-free. It's choices are grain and gluten free, but the good stuff - taurine (a must for cats) and probiotics are added. Because it is more pricey than many cat foods, Stella & Chewy's is the brand turned to when cats won't or can't eat anything else. Cats tend to fall in love with it pretty fast, but some actually prefer Stella & Chewy's in its dry state, rather than moistened with water. Do try to feed it moist, because cat's need moisture and they aren't big water drinkers! Vital Essentials Vital Cat attempts to be the closest thing to the Alpha Prey diet available in frozen and freeze dried menus. And, from what I've explored, it probably is. Its ingredients are simple and few, just the way they would be in the wild. The Alpha Prey diet mimics what alpha cats (and alpha dogs) eat in the wild, including the vital organs, where they get the most nutrition, to the meat and bones on the outer portions of the prey. In the wild, the alpha cat eats first and leaves the remainder of its prey to his pack; but Vital Essentials ingredients gives all cats the benefits of the alpha cat with all the vital organs, meat, and bones of the prey, plus egg, raw goat's milk, herring oil, and essential tocopherals (vitamin E). Vital Cat Mini Nibs come in Turkey, Rabbit, and Chicken; the ingredients are human-grade. Vital Essentials also makes dog food and grain free cat and dog treats. Primal uses human grade protein ingredients - chicken, turkey, salmon, pork, and venison - without antibiotics or hormones. It has a high ratio of proteins (90+ percent) to the organic fruits and vegetables, also included. Cats seem to like the food a lot, but cat parents complain of the high cost. Nevertheless, most seem to think that their cat's health is worth it; on Amazon, there are several reports of cats who had intestinal and other health problems before switching to Primal. Don't be disturbed by the appearance of the food out of the bag. The chunks of freeze dried food may be broken up into irregular pieces, or even become dusty. Just break the cubes up into pieces, wet the food, and serve. It's all meant to be eaten! Ziwi Peak is a very popular cat food. It is sourced from free-range, grass-fed animals and wild caught fish. Ziwi Peak cat foods are diverse; you can purchase beef, lamb, venison, and mixed lamb and mackerel. All recipes contain green mussels, a natural source of omega-3, omega-6, chondroitin and glucosamine. Air drying is somewhere between freeze drying and dehydrating in terms of retaining nutritional values, but it is clearly a high-quality cat food that nutritionally recognizes the wild beast lingering in your house cat. The Honest Kitchen makes dehydrated pet food for dogs and cats. The cat food comes in turkey and chicken, both are cage free and human grade. Natural fruits and veggies are grown organically. This is definitely a high quality food with protein and healthy vegetables for your cat. Dehydration doesn't preserve all vitamins and minerals in your pet's food, not as much as freeze drying, but it does a pretty good job at conserving most of them - certainly better than cooking or baking ingredients - so dehydrated food is much better for your pets than canned or dry food. Dehydrated food tends to be less expensive than freeze-dried foods too, so that's something you may want to consider. Like freeze-dried foods, you just add warm water or this great human-grade bone broth for moisture, wait a few minutes and serve. Cats need a high quality protein-rich diet in order to live a healthy and long life. The above 5 cat foods are some of the best available of the more popular and affordable cat foods and we recommend them for your cat. If your budget and/or time constraints don't support feeding your cat with freeze-dried, dehydrated, or cooked fresh food, you may want to look into the kibble or canned food made by the manufacturers listed below. These are primarily grain-free foods and they have a higher protein to vegetable/fruit and filler content than many pet foods. As for kibble versus wet food, I would feed wet food, because cats need the moisture, but the fact is that both use very high heat in their processing. I feed my cat both wet and dry food. Addiction Cat Food (Scroll down the page and you can find links to Addiction Cat Food here). Eagle Pack Cat Food (Scroll down the page and you can find links to Eagle Pack Cat Food here). As with human diets, higher quality foods will make a big difference in the well being and health of your cat. All of the top cat foods we recommend are well liked by many cats. But each cat is different - as as cat owners know; they are fussy and will have preferences. So if any one of the foods recommended above do not seem to be liked or tolerated by your cat, just try another quality brand or perhaps even a different formulation of the same brand. You are sure to find one that one that is tasty and healthy for your cat. If you pick one of these tasty foods, your cat will say "Yum, yum, yum," like this adorable kitty. If you are curious about what are the worst foods for your cat, check out our picks for 7 Worst Foods For Your Cat.